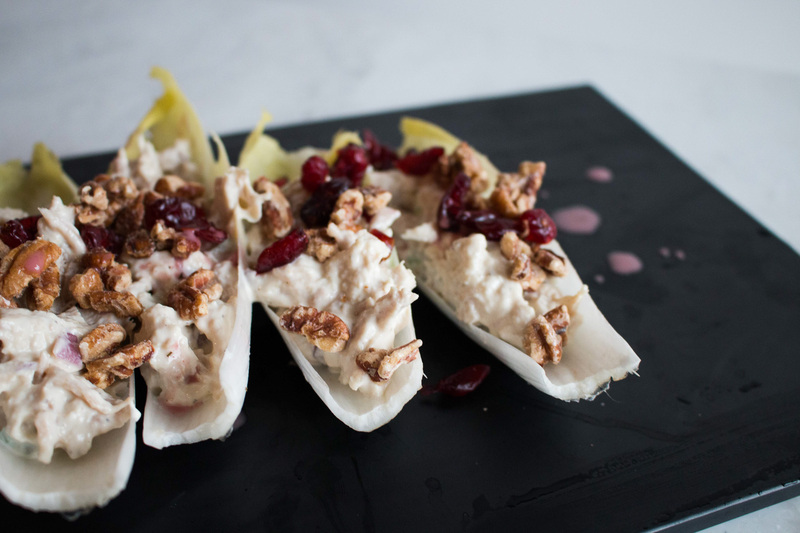 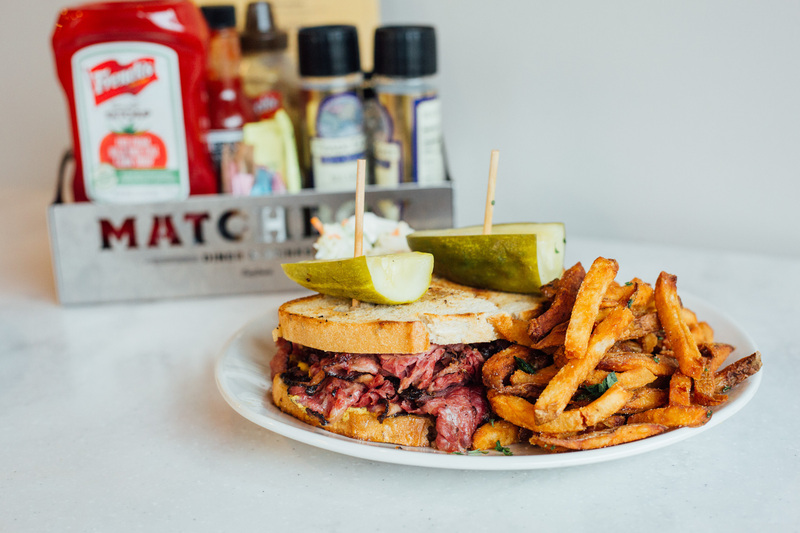 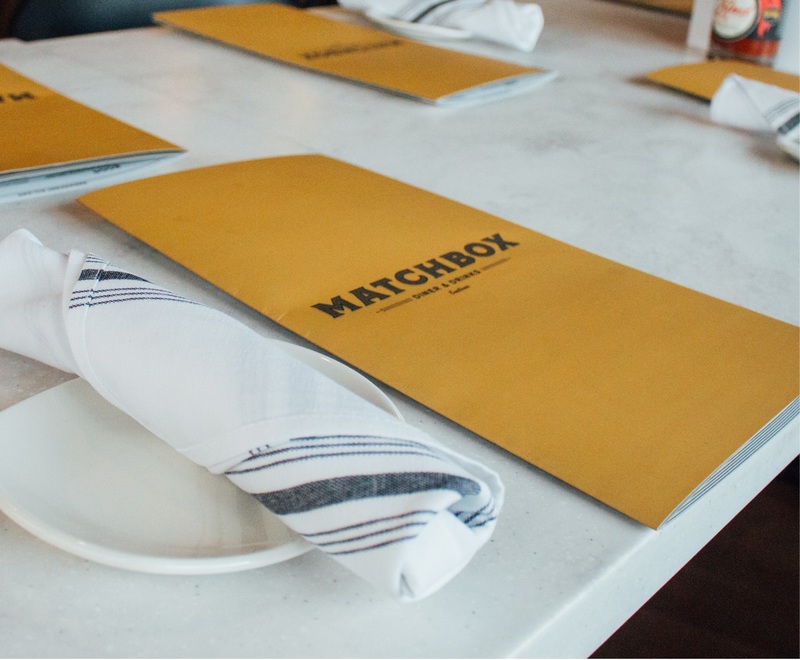 Matchbox Diner & Drinks is the marriage of classy and approachable – where specialty food is prepared in a welcoming atmosphere. 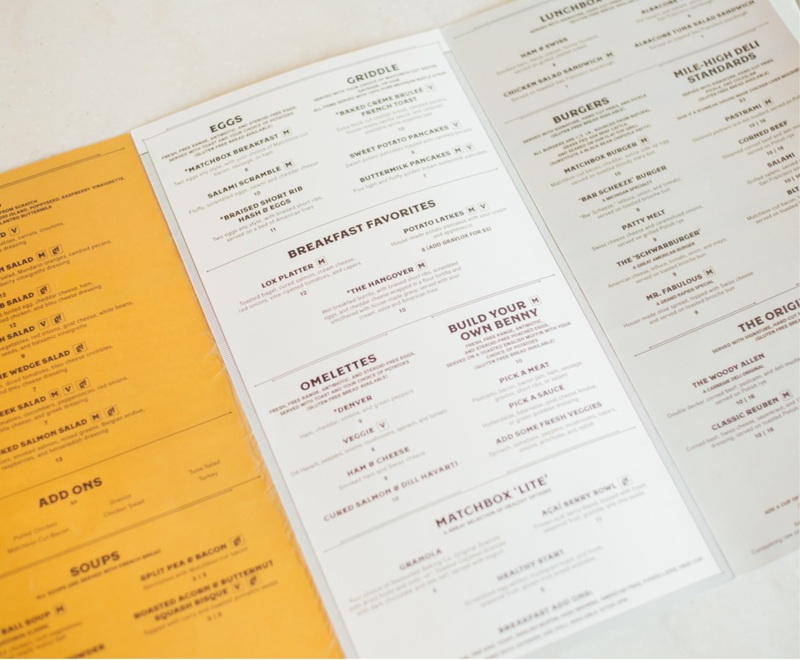 From their handcrafted beverages to their hearty all-day breakfast items, there’s something for everyone to try. 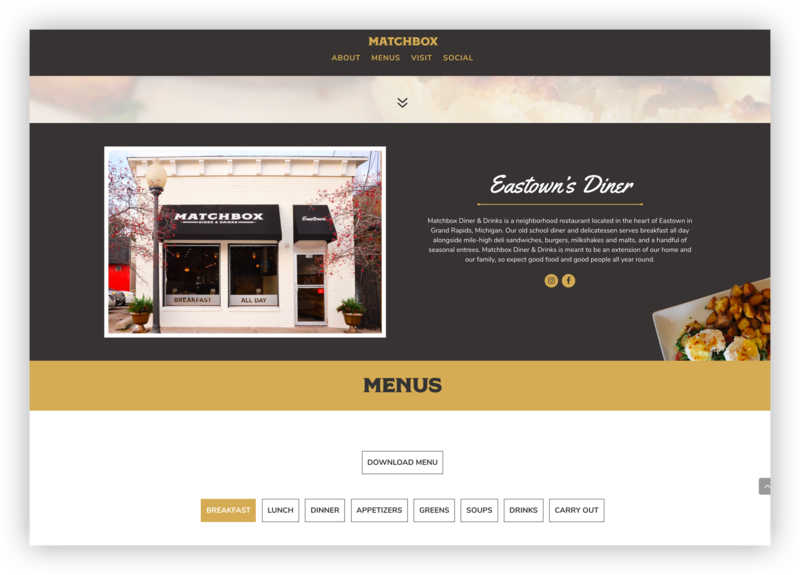 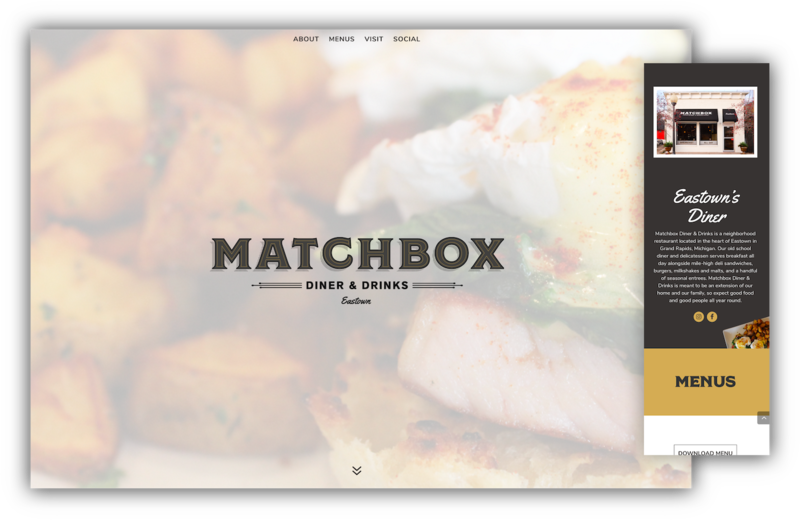 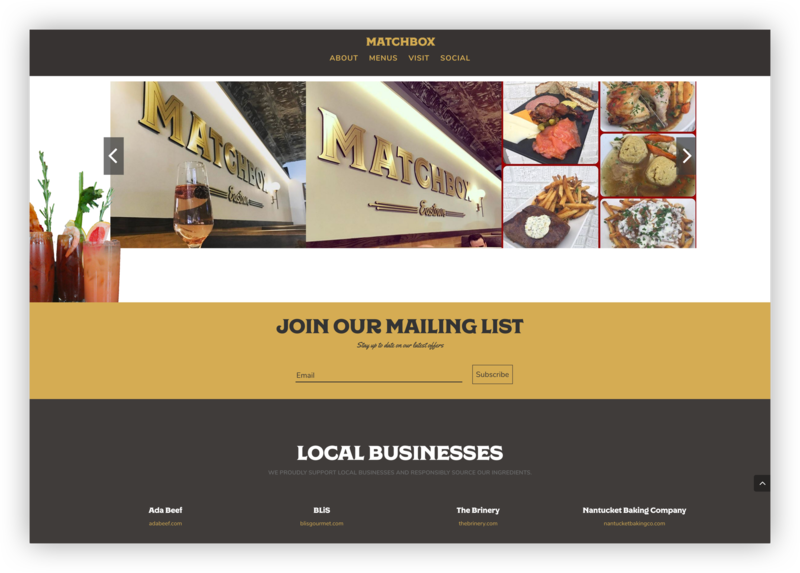 We adore the look and feel of Matchbox and strove to imbue that spirit into every part of their marketing strategy. 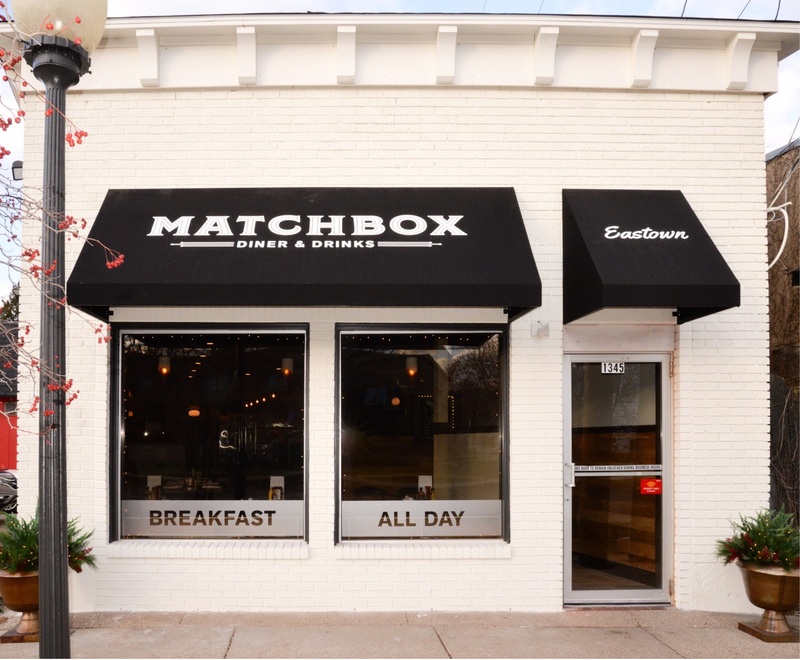 Food is king on the Matchbox Diner & Drinks site, and for good reason. 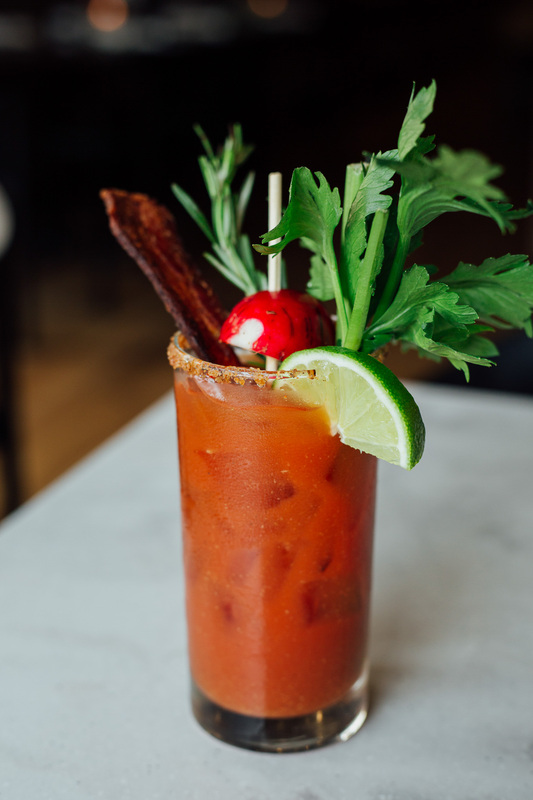 It’s delicious. 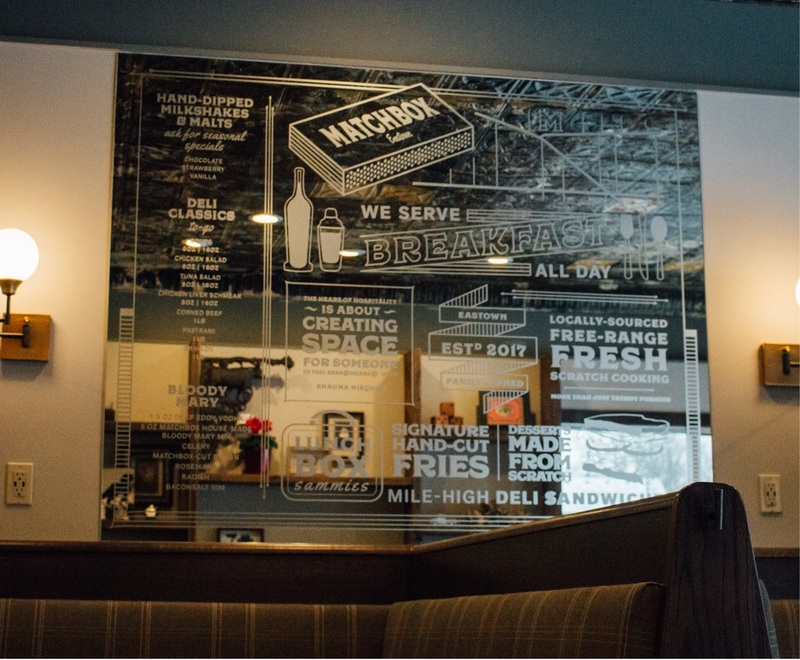 We chose to prominently feature their specialty items and make the extensive menus as accessible as possible. 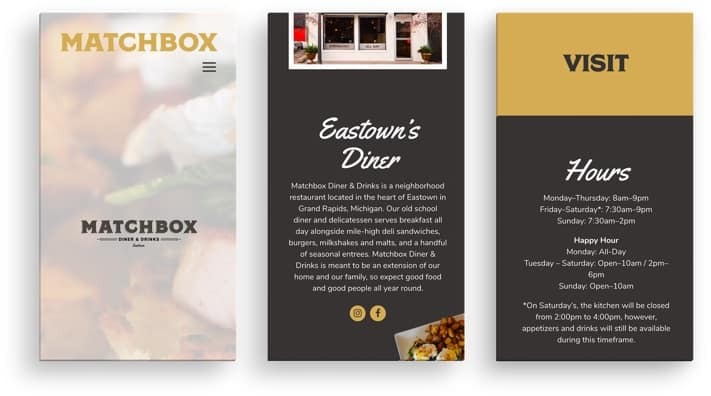 The imagery of a matchbox – comfortably snug and full of fiery flavor – was not lost on us, and the branding we created for this diner was a reflection of that. 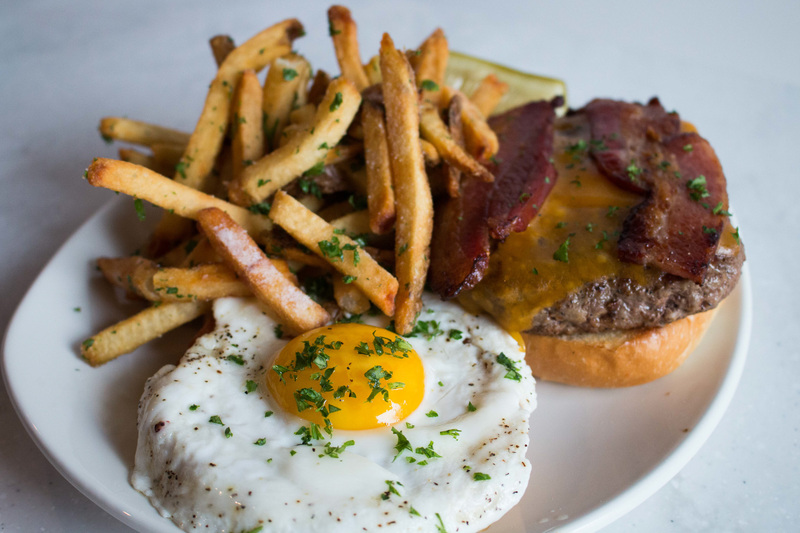 What’s the best way to enjoy a burger? 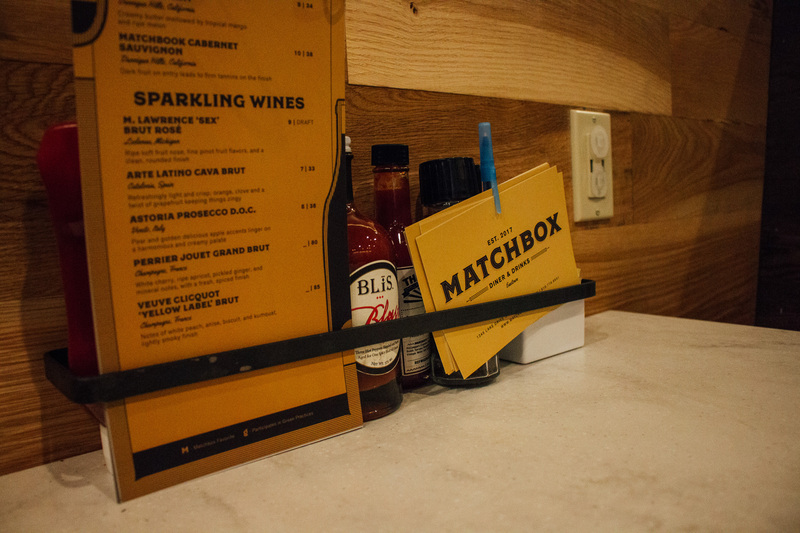 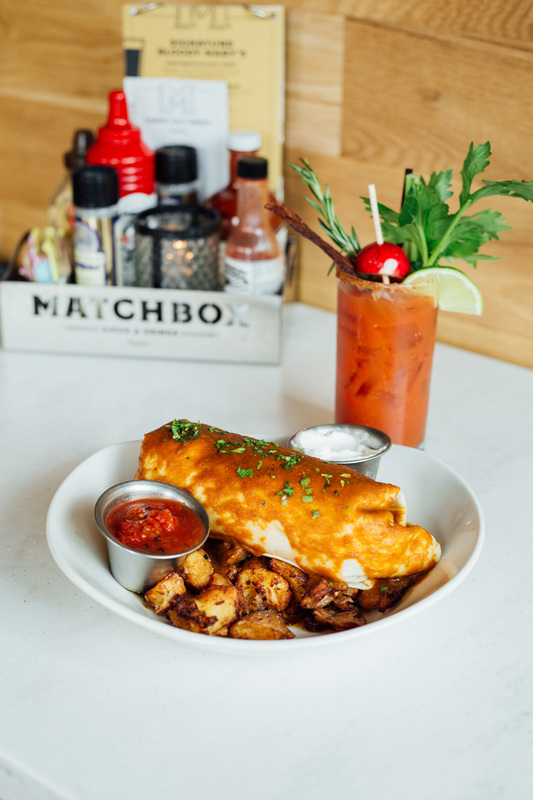 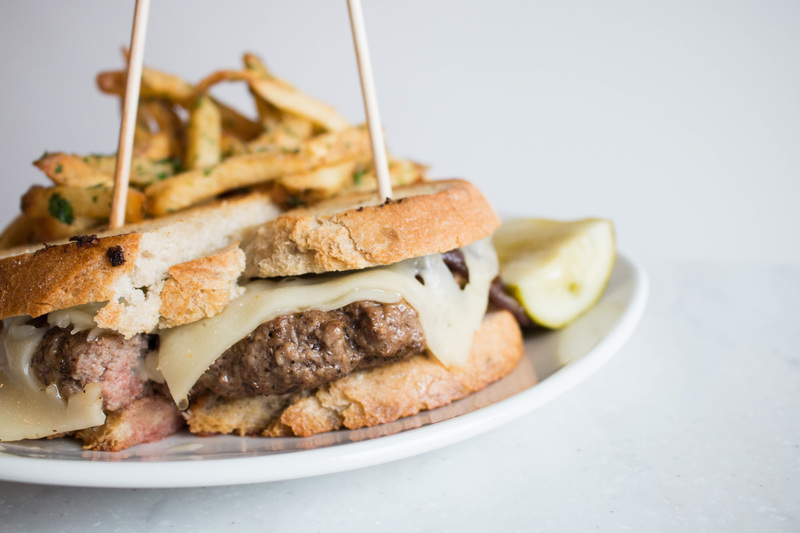 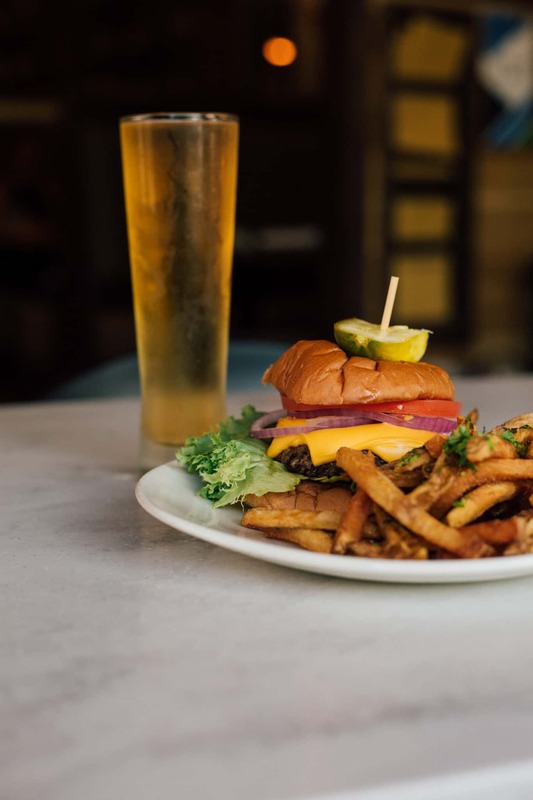 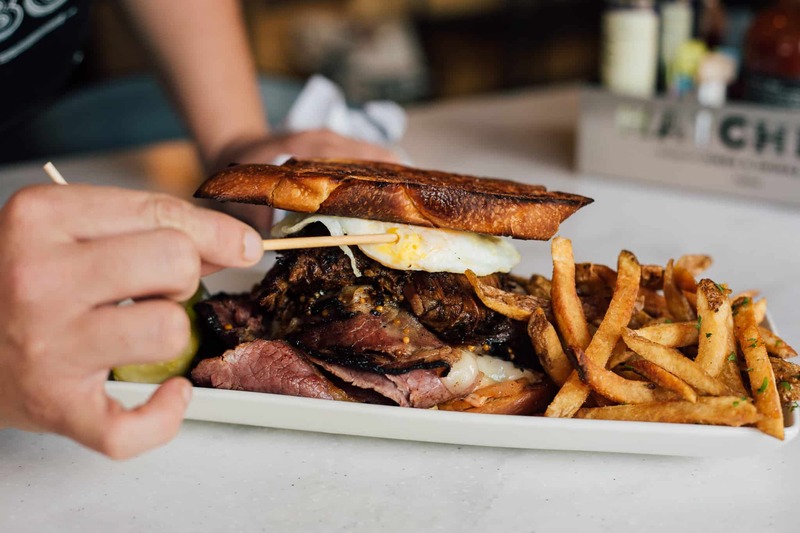 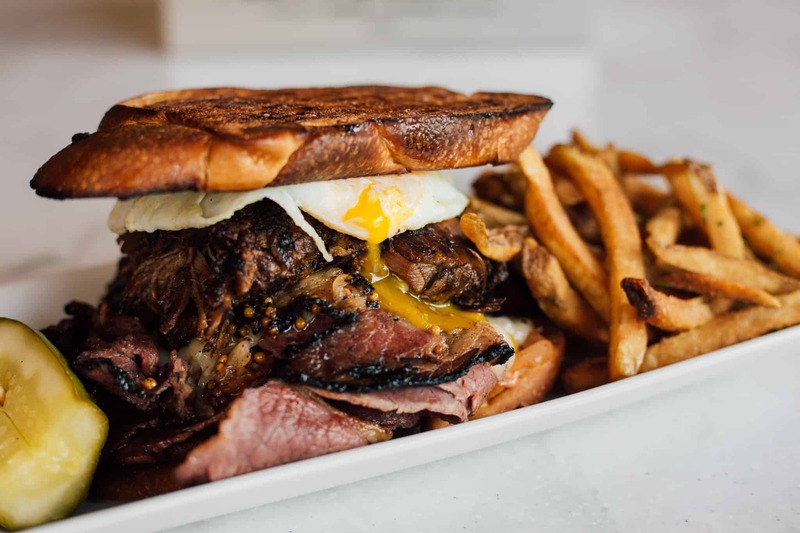 At Matchbox, it’s through your eyes first – the dripping ketchup, melted cheese, and grilled meat glistening – and then through your taste buds.